I didn't waste any time, did I? Just in time for **snow!?! 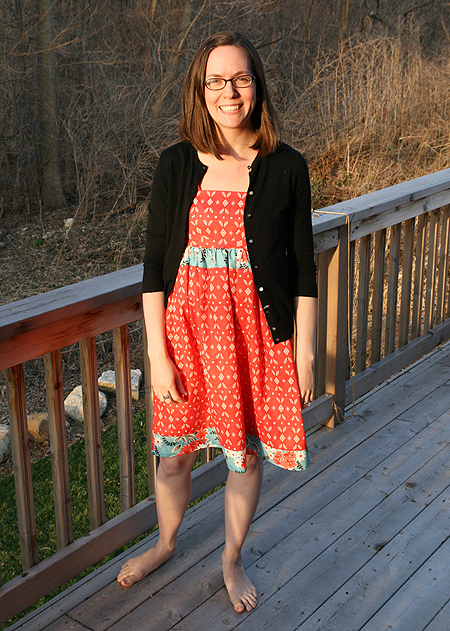 ** this Sunday, I finished the Evening Empire Dress by Anna Maria Horner. I just love how it turned out! 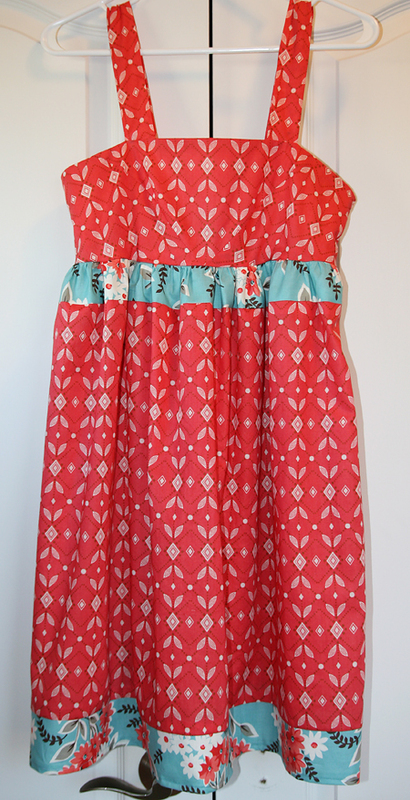 The red fabric is Anna Maria Horner's Little Folks Diamond Mine Pomegranate. It's actually a much softer color in real life - the camera/flash don't do it justice. I added a bit of Flea Market Fancy by Denyse Schmidt. Don't the 2 fabrics look like they were made for each other? There is only one thing I would have done differently and it wasn't a problem with the pattern, but my own doing. 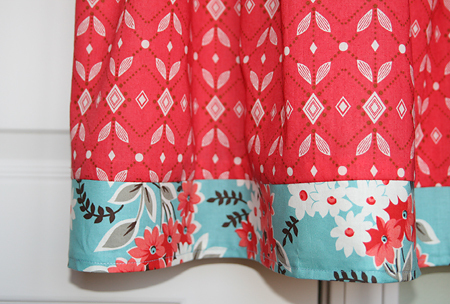 I made a size larger in the skirt portion because I was convinced I needed to per my measurements. Well, since the fabric is gathered, I certainly didn't need to size the skirt up and it just makes the dress fuller in the gathering area. So next time I'll do everything the same size. 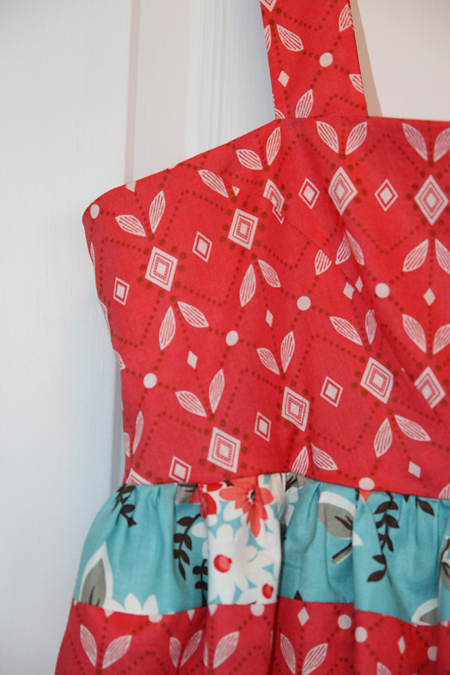 Overall the pattern was easy to follow and my invisible zipper even ended up, well, invisible! GASP! I did sew the bodice in scrap fabric first to make sure I knew what I was doing with the good stuff. I would suggest also doing that as it helped answer some of my questions and then I just blew though it with the final fabric.